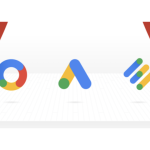 Localytics, the leading mobile engagement platform, today announced a direct attribution integration with Google’s DoubleClick Digital Marketing (DDM) platform, the top ad server with nearly 80% market share. The integration will enable Localytics customers to get insights into users acquired from campaigns run on Google’s DoubleClick Ad Exchange, including installs and post-install behavior, and then target push, in-app, geo-fence and remarketing campaigns to segments of users acquired from DoubleClick. Additionally, customers will be able to optimize their marketing spend on DoubleClick user acquisition campaigns that generate the highest conversion, retention and lifetime value. Companies programmatically buying app install ads across the DoubleClick network need to be able to integrate their efforts with their downstream, post-install behavioral analytics and engagement efforts. They also need to be able to understand how DDM compares to other acquisition services in driving new users and engagement. With Localytics’ DDM integration, companies get an immediate view into user acquisition across channels, how these users are behaving, and the ability to easily target push, in-app, geo-fence and remarketing campaigns to segments of users. As a result, companies will be able to better understand which DDM campaigns help to drive post-install behavior and be able to optimize future ad spend toward those campaigns. Localytics’ DDM integration is currently in beta, with general availability expected later this year at no additional cost to existing Localytics customers. To learn more, visit Localytics.com. Localytics is the leading mobile engagement platform. We give companies the insights and tools they need to improve their mobile app acquisition, engagement and retention efforts. Our secret sauce is in the data. We use all the data surrounding users to deliver highly targeted and personalized engagement campaigns, including push and in-app messages. We then use performance data to measure and optimize those efforts toward the metrics that drive businesses forward. Our platform is used in more than 37,000 apps on more than 2.7 billion devices by companies such as ESPN, Fox and The New York Times. We are headquartered in Boston, MA with offices in San Francisco and London. Investors include Sapphire Ventures, Foundation Capital and Polaris Partners. Learn more at Localytics.com.